Found 3 file extension associations related to Theme Park World and 2 file formats developed specifically for use with Theme Park World. Theme Park World is a construction and management simulation, a sequel to the successful 1994 Theme Park. 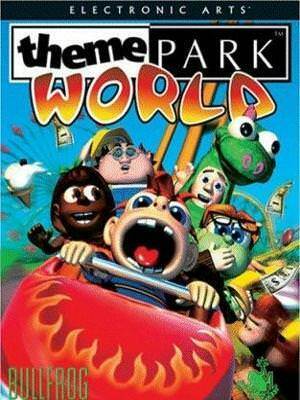 Theme Park World was developed by Bullfrog Productions and released by Electronic Arts in 1999. The Mac version was published by Feral Interactive. The game is also known as Sim Theme Park in the United States and Brazil, although there's no connection with Maxis's Sim titles (however, since EA owns Maxis, the Sim logo is similar to that of Maxis's titles, and such games' websites did link to the Sim Theme Park website). It was followed by Theme Park Inc (also known as Sim Coaster). On the main website a new part for the game was added for download, this allowed people to buy new rides, attractions, shops and features using platinum tickets. If you need more information please contact the developers of Theme Park World (Electronic Arts, Inc.), or check out their product website.